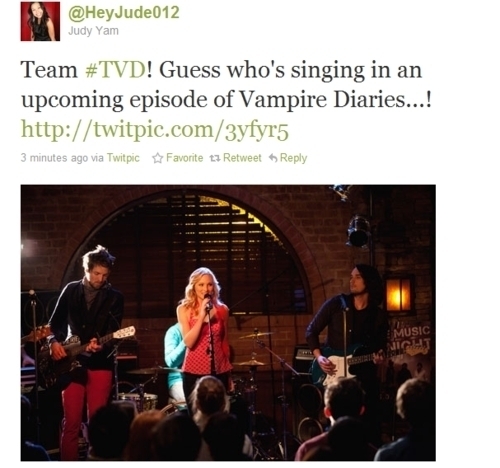 Caroline will sing in an upcoming episode of TVD!. . Wallpaper and background images in the Caroline Forbes club tagged: the vampire diaries caroline forbes. This Caroline Forbes photo might contain 新聞, 紙, 雑誌, タブロイド紙, ぼろ, タブロイド, 布, アニメ, 漫画, マンガ, and コミック.